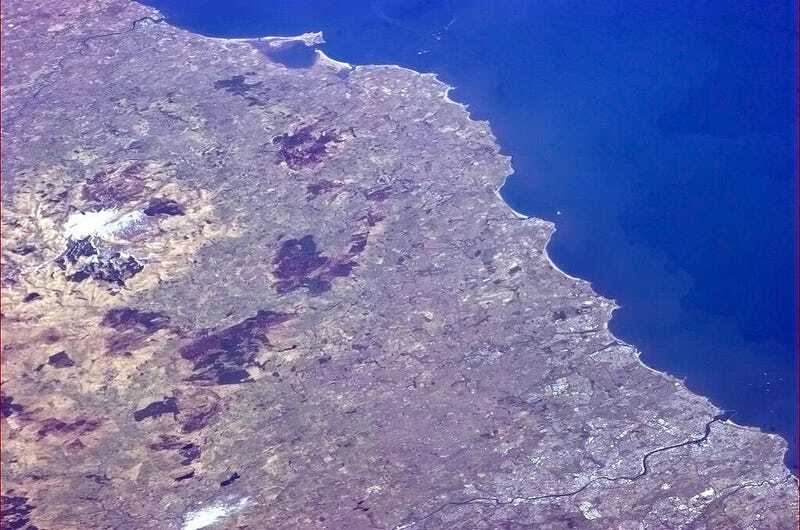 Chris Hadfield just tweeted a picture of my house from space! OK, it's more than just my house. Just for some scale, the piers at the mouth of the big river at the bottom are a mile long, and the little dots offshore are 300-metre-long cargo ships waiting for the tide.